If our policy practices change in the future, we will let you know by posting the policy changes on our website. However, we will treat all personal information we collect in accordance with the privacy notice in effect at the time the information is collected. Girl Scouts of Northern California uses its best efforts to respect and protect the privacy of its online visitors. At our site, we do not collect personally identifiable information from individuals unless they provide it to us voluntarily and knowingly. This means we do not require you to register or provide information to us in order to view our site. 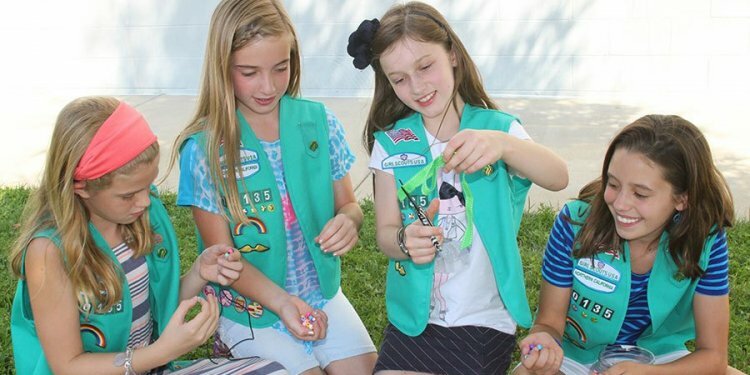 Girl Scouts of Northern California only gathers personally identifiable data, such as names, addresses, zip/postal codes, email addresses, etc., when voluntarily submitted by a visitor. For example, personally identifiable information is collected in order to process online transactions, online donations, or job applications. This information is used solely by Girl Scouts of Northern California or other entities who are involved in the operation of this site for internal purposes. We do not sell information you provide to us online to third parties. We will only share personally identifiable information with third parties when (i) the person submitting the information authorizes us to share it; (ii) sharing the information is a necessary operation of the site, for instance, to process a credit card transaction, or (iii) we are required to by law. Girl Scouts of Northern California has no control over or responsibility for the data collection and use practices of third parties that process online transactions. The Children's Online Privacy Protection Act (COPPA) protects the personal information of children under the age of 13. This applies to individually identifiable information about a child that is collected online, such as full name, home address, email address, telephone number or any other information that would allow someone to identify or contact the child. The Act and Rule also cover other types of information-for example, hobbies, interests and information collected through cookies or other types of tracking mechanisms-when they are tied to individually identifiable information. It is important for you to understand this law; we encourage you to read more about COPPA. Girl Scouts of Northern California is committed to providing a safe, secure, and fun online experience for children who visit our site. We are dedicated to safeguarding any personal information collected online and to helping parents and children have positive experiences on the Internet. Consistent with the Children's Online Privacy Protection Act of 1998, we will never knowingly request personally identifiable information from anyone under the age of 13 without prior verifiable parental consent. Parents can revoke their consent and ask that information about their children be deleted from the site by contacting information collected from children, we must verify the identity of the requesting parent. When a parent revokes consent, we will stop collecting, using, or disclosing information from that child. To respect the privacy of parents, information collected and used for the sole purpose of obtaining verifiable parental consent or providing notice is not maintained in retrievable form by the site if parental consent is not obtained after a reasonable time. This site may be linked to other sites and services that are not maintained by Girl Scouts of Northern California. These websites have their own privacy policies, which you should review prior to visiting them. We have no responsibility for linked websites and provide these links solely for the convenience and information of our visitors. Protecting the safety of your credit card information is also important to us. We use Secure Sockets Layer (SSL) technology to protect the security of your credit card information as it is transmitted to us. SSL is the industry standard in Internet encryption technology, which is a highly sophisticated method of scrambling data as it travels from your computer to our website servers. We also encrypt your credit card number when we store your order and whenever we transfer that information to participating merchants.